Video Interview, is the UK ready? Home » Blog » Interview techniques » Video Interview, is the UK ready? The Video Interview – dystopian reality? As technology evolves, how we (as people) operate from day to day is changing. In business, time is always of the essence. Therefore, technological developments that have saved time in the past have been welcomed with open arms. With this in mind, the interview process has remained almost untouched by technology, until now. Here, we will explore more about the video interview. Video chat is one of many technological developments that we have welcomed. Therefore, you could argue that it was only a matter of time before companies started to link video chat to business and come up with the video interview. In the US, 6 out of 10 interviews are now conducted in this format, but in the UK only small businesses are conducting video interviews. However, many HR specialists are saying that it will not be long until video interviews become the norm. Financial– any company that adopts this process would spend less on interviewing. The European Organization for Nuclear Research noted that they saved 20% when they made the switch. Time – as the person conducting the interview can do all of them in one place, or all at one time if an automated solution is being implemented, the amount of time that can be saved is significant. While the video interview process for companies would take a bit of time to get used to, one could argue that the above benefits would come with no negatives. 2013 is probably the year that the interview process will change in the UK forever. As this is the case, it is imperative that those who are currently looking for work, start to think about how this process may affect them. 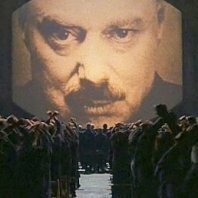 No doubt, Generation Y has a distinct advantage having grown up with YouTube but for Generation X or the last of the Baby Boomers could this be an Orwellian nightmare?